Quinnipiac wraps up its weekend road trip with a visit to Providence, RI to take on Brown. The Bears have really struggled in the second half of the season with a 1-7-3 record. 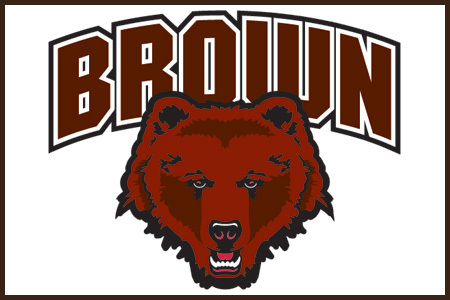 Overall they are 6-14-4 and the solid first half of the season looks to have been a mirage as Brown has reverted to its struggling ways. Quinnipiac is fresh off their first loss to Yale since the 2013 NCAA National Championship game and first regular season loss since February of 2011. Bruno is averaging 2.21 goals per game which is worse from the last time these teams last played. They lost senior Max Willman after only 9 games with injury and he is expected to transfer elsewhere as a graduate student next season. Sophomore Beau Beaudoin is the team's leading scorer with 15 points (4 goals, 11 assists). Both Tommy Marchin (13 points) and Sam Lafferty (14 points) help pace the Bruno offense. Brown has a very limited offense and it has shown in the second half of the season. The struggles by Charlie Corcoran and the injury to Willman has not helped either. The Brown power play is 47th in the country at 15.79% (15-of-95) so they are not a huge threat on the man advantage. The Brown defense hasn't been great this season giving up 3.21 goals per game. Collectively the unit is a minus 32 on the ice. The youth on the Brown blue line has taken a step back in the second half of the season. Tony Stillwell, Max Gottlieb and Zach Giuttari have given more offense than they have defense this season. Those three are in the top 6 in scoring for the Bears this season. Brown's focus should be trying to take away Odeen Tufto for Quinnipiac is he really is the cog that makes Quinnipiac go. With 12 multi point games and 33 points he is well on his way to a 40 point which would be the first for a Quinnipiac freshman since Sam Anas in the 2013-2014 season. The penalty kill for Brown has struggled as well at 78.5% (84-of-107) good for 47th in the country. Quinnipiac's power play scored two goals in the loss to Yale last night and has been better as of late. Sophomore Gavin Nieto has really struggled this for Brown and got lit up for 5 goals last night against Princeton before being pulled in favor of freshman Luke Kania who has been better this season than Nieto with a .911 save percentage and a 2.72 goals against average. It was Kania who played against Quinnipiac back in November and gave up five goals in the loss. Nieto this season has a 3.52 goals against average with an .893 save percentage. I could see Brendan Whittet turning to Kania tonight even with his struggles against Quinnipiac basically for the mere fact that Nieto struggled against Princeton last night. Goaltending has not a strength of Brown this season and it has not been in awhile. These are two huge points for Quinnipiac who need them in order to make a push for home ice in the first round of the ECAC tournament. The loss last night hurt pushing them a point behind Yale and into 9th place. A win tonight over Brown and a Yale loss puts Quinnipiac back into the 8th spot in the ECAC. The Brown Hockey program is a disgrace and heartbreak for those who really care about the players to watch. It is absolutely shameful that no support or energy is applied to turning that around. Agreed. Attendance last night for a good Princeton team was 850 people. Outside of a surprise run to the ECAC final in 2013 its been really bad there.